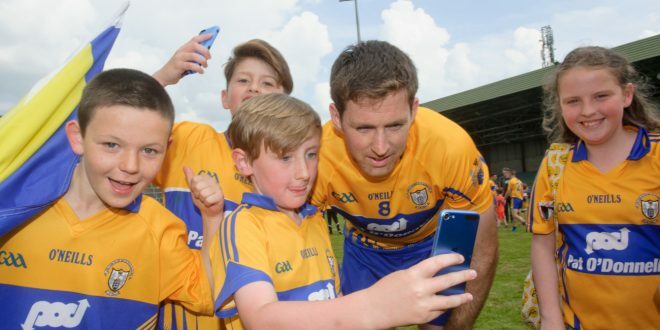 Gary Brennan of Clare is congratulated and has selfies taken with enthusiastic Clare fans. Photograph by John Kelly. THE absence of captain Gary Brennan and half-forward Seán Collins has hampered Clare’s panel depth, as they aim for a first league win over Galway since 1995. Both were substituted against Down on February 12, carrying hamstring injuries and neither have recovered, while Brennan is also focusing on preparing for Ballyea’s All-Ireland club final against either Cuala or Slaughtneil. 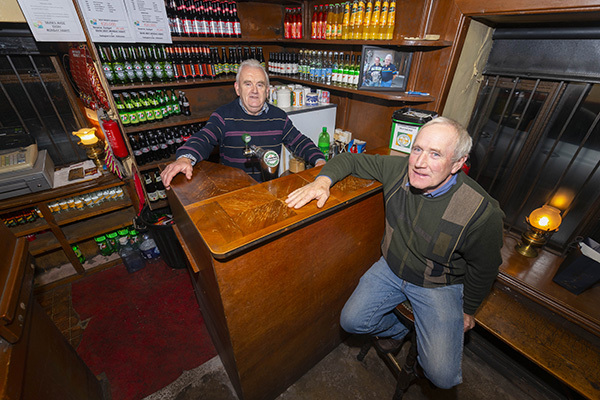 The Clare Champion understands that Ballyea panellists Pearse Lillis, David Egan and Shane Brennan will be available to the footballers this Sunday. “Gary or Seán haven’t trained since we played Down. Both of them came off injured, so I wouldn’t expect to see either of them this week, or maybe not for the Cork game either. Cathal and Kevin Harnett were the two lads with injury concerns going into the Down game. Both of them have got another few weeks under their belts and they are grand,” Clare selector David O’Brien confirmed. Galway are also on three points, having drawn with Cork and beaten Fermanagh. 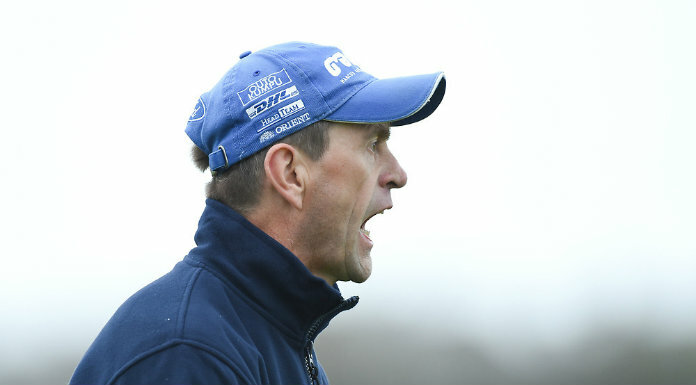 While Clare will be hoping to pick up a first national league away win since 2014, Galway will feel that they must win their home games, having already dropped a point to Cork in Salthill. “When you move up to Division 2, every team wants to win their home games. If you have four and win them, it could be good enough to put them in with a chance of promotion. If you have three home games, you have to on the road and win a couple of games. That’s the situation we’re in. We’re up against the Connacht champions, which is where we want to be. There is no point in being daunted about it. Four years ago, when Clare were in Division 4, the dream was of playing in this type of game. Hard work got them here and it’s through even harder work that we’re going to have to try and win games in Division 2,” O’Brien envisioned. He feels that while Clare played well at times in drawing with Derry and beating Down, they are capable of upping aspects of their game. “They are a level-headed group. We know if we lose a game, if we deserve to be beaten and likewise with winning a game, we always take the positives and negatives out of each performance. “In the Derry game, we felt there were stages where we should have closed out the match and won. We had opportunities to go a few points clear and we didn’t do it. When those chances came against Down, we took them and the game was probably over 10 minutes into the second half. The disappointing thing was we didn’t attack the lead. We just more or less sat back, played out time and allowed Down to get a couple of scores. We won the game by six points when we were probably 15 points better than them. That was the disappointing thing. When you go up a level, if there is a team there to be beaten by a point, you beat them by a point and if they are there to be beaten by 10, you go and beat them by 10. We didn’t play out the 70 minutes and that’s something you have to do at this level,” the Miltown Malbay man maintained. Clare v Galway will throw in at 2pm in Pearse Stadium on Sunday. Fergal Kelly (Longford) will be the referee. Clare footballers need to put in a top class display over 70 minutes when they face Galway at Salthill.